Today will be the 17th day QuickNewHavenNews has been live online. In the past 16 days, QNHN has grown faster than I ever thought possible. There have been over 5,000 visits and a combined 10,500 stories read from people all over the world; countries such as Germany, Belgium, and Canada and cities such as Chicago, O’Fallon, Wentzville, New York City, Philadelphia, and San Antonio have had people visit QNHN multiple times. 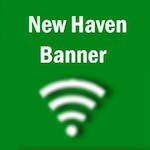 New Haven once again has a locally owned and operated news source, which means your opinion on news coverage matters. This is not my site, but New Haven’s site. If you have something you want published to recognize someone’s achievement all you have to do is tell me and it will be published. In fact, I strongly encourage you to submit pictures or a personal writing to thank someone and/or give your opinion on a topic you feel is important. I hope you are pleased with the news coverage so far. If there is something you want to see more coverage of, I want to hear from you. The only way I can improve on what is covered is through your feedback because I intend on providing the very best news coverage possible. Lastly, I want to thank: Bank of Franklin County, People’s Savings Bank, Citizens Bank, East Central College, Lock-N-Loaded, and Quick’s Save-A-Lot for being our first advertisers. I also want to thank you, the readers who visit QNHN, because without you QNHN would not exist. I have some incredible plans in the near future that I think you, the reader will love. This is just a start to what I believe will be one of the best online/print news source in the country!